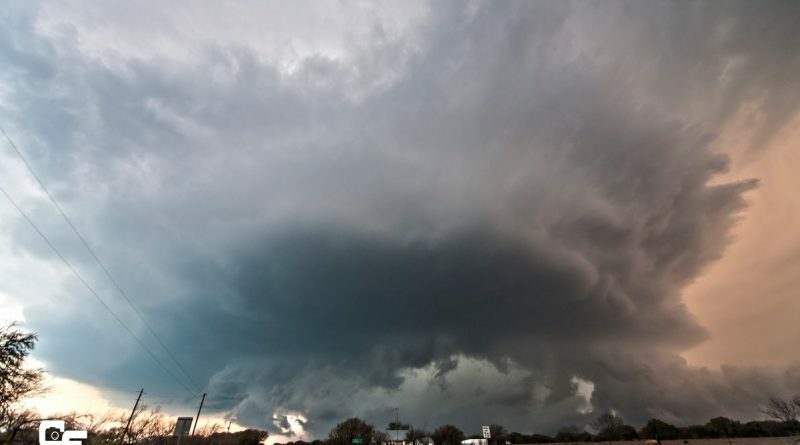 St. Patrick’s Day weekend was active for severe thunderstorms SW of DFW. On March 17th, 2018 SPC had issued a 5% tornado probability for SW of DFW and had issued a Slight Risk. 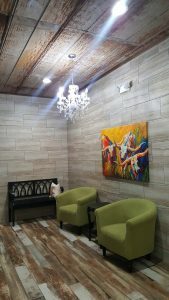 After loading up on In & Out in Fort Worth, we continued down to our initial target area of Hico, TX (which by the way if you are ever in Hico, stop at the Exxon, it is ridiculously luxurious. 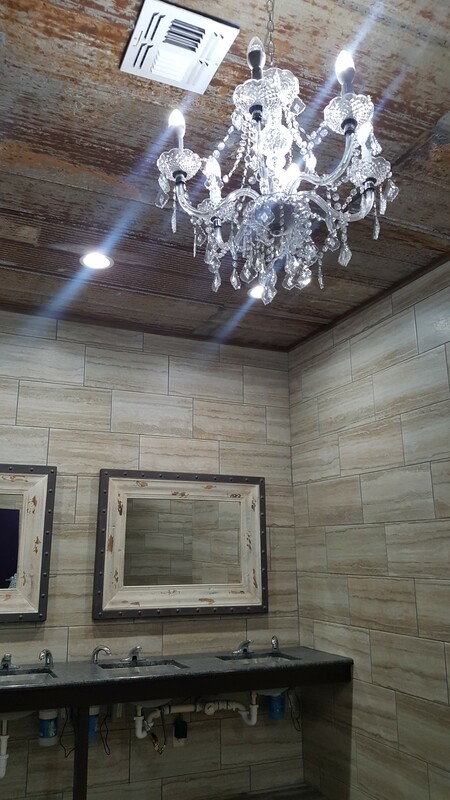 Yes that those are chandeliers in the restroom!) Storms to our west had formed into a conglomeration and generated quite a cold pool. Our initial plan was to go east on State Highway 7 under I-35, however that ended up not being possible. Thankfully the storm was slightly undercut (meaning there was more rain cooled precip. pushing out) when it crossed I-35 near Bruceville-Eddy as the construction and closed access roads had caused traffic to come to a near standstill. We punched through some of the RFD (rear-flank downdraft) as we took the frontage road south. 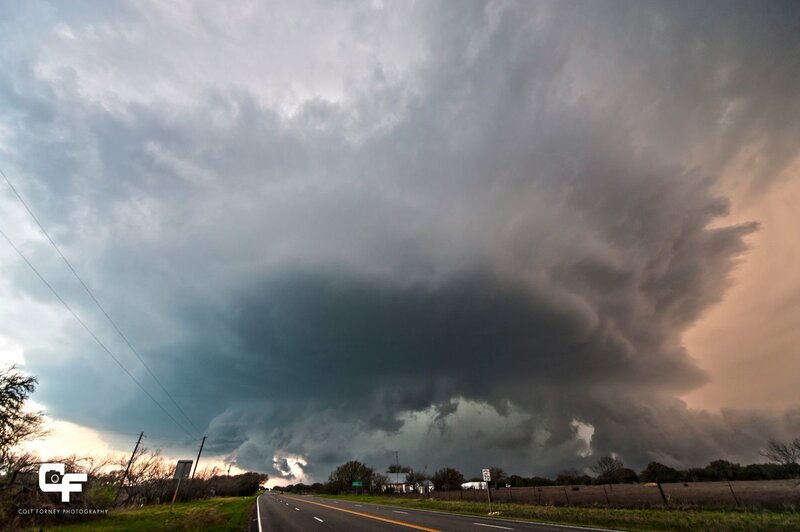 Had a tornado wrapped-up over the traffic laden interstate -it would have been ugly. Regardless, traffic just north of us encountered quite a hail core. As the storm drifted SE it just couldn’t quite get organized and cells to its south kept inhibiting its inflow. 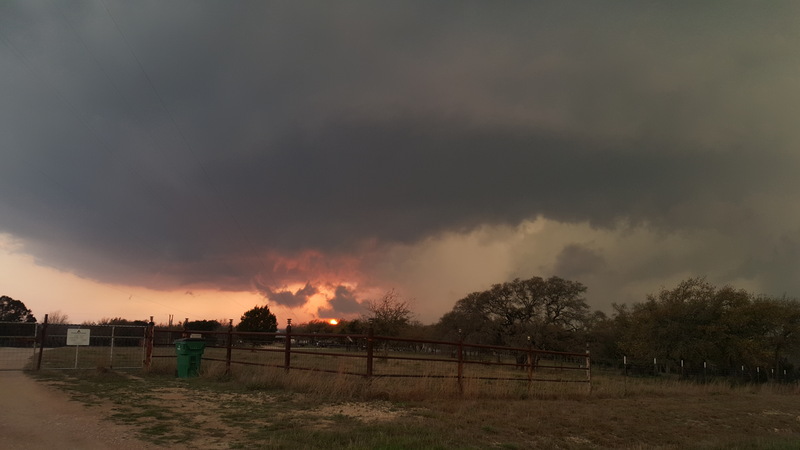 Next we turned our attention to the storms firing west of Killeen, TX. There had been enough clearing throughout the day that instability had increased, the cap broke, and storms were ready to take off. Isaac was remote nowcasting and had been monitoring GOES 16. He mentioned that SPC Mesoanalysis was analyzing better shear with the storms out west and that according to satellite, it really looked like the western play would provide a better storm. He was right, as we drove west we could see the anvil spreading out overhead. Tail-end storm was our new target. It looked like this storm may even ride the outflow boundary that the previous storms north of of it had set out. 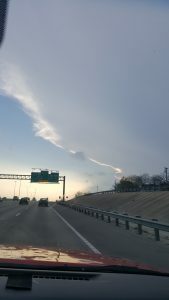 The western storm was isolated to its south and had a very robust updraft. Short on roads, Colt navigated us to get into position near Oakalla on FM2657 and Briggs, TX on HWY 183. Although low level SRH wasn’t quite enough to get a tornado, the sun was just about to set and the overall effect on the superell was gorgeous! We managed to find a relatively flat overlook near Briggs and observe the storm to our north. The hail roar was intense!! 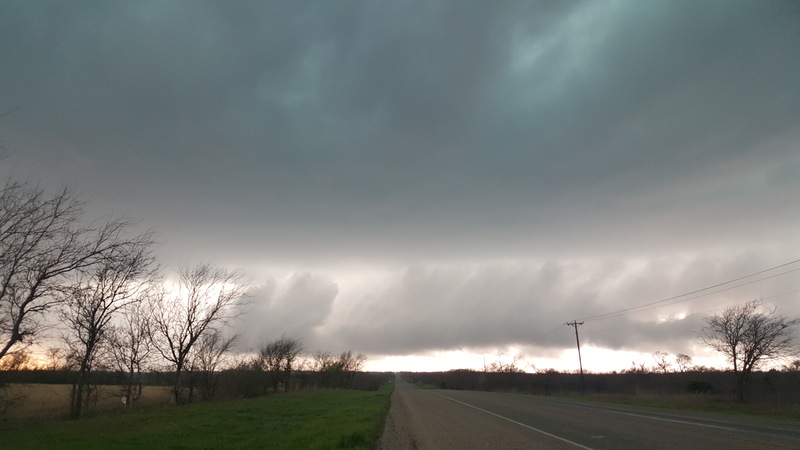 Here is a panorama taken from HWY 183 just South of Briggs, TX! The green color was so eerie! Don’t forget to subscribe to our YouTube Channel to get video highlights of our favorite chases!